The games industry’s rating body, the Entertainment Software Rating Board (ESRB), has said that it does not see loot boxes in video games as a form of gambling. 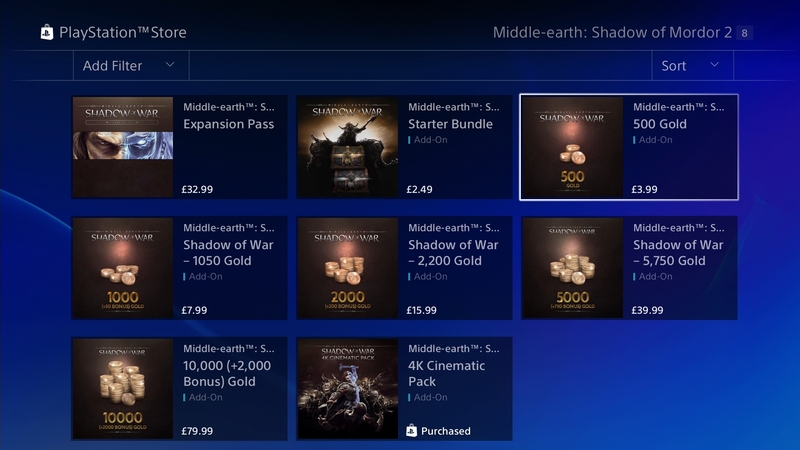 This comes after a number of high-profile, AAA games like Forza 7, Middle-earth: Shadow of War, and Star Wars: Battlefront 2 came under fire for offering gameplay advantages in loot boxes, which can be bought with real money. Fans called for the ESRB to intervene, awarding games with such systems the Adults-Only rating. Unfortunately, this may never come to pass. “ESRB does not consider loot boxes to be gambling,” a spokesperson told Kotaku when asked about the trend. That said, the ESRB has a very specific definition for gambling. Real Gambling is what will get your game an A-O rating, but for the gameplay system to fall under this definition, it has to allow for gambling that involves real-world money. It’s a bit curious, since real-money does factor into the equation when you spend money on loot boxes. Regardless, it’s perhaps time for the European Commission to look into the matter.